Fateh Sagar Lake, Udaipur City (Rajasthan). 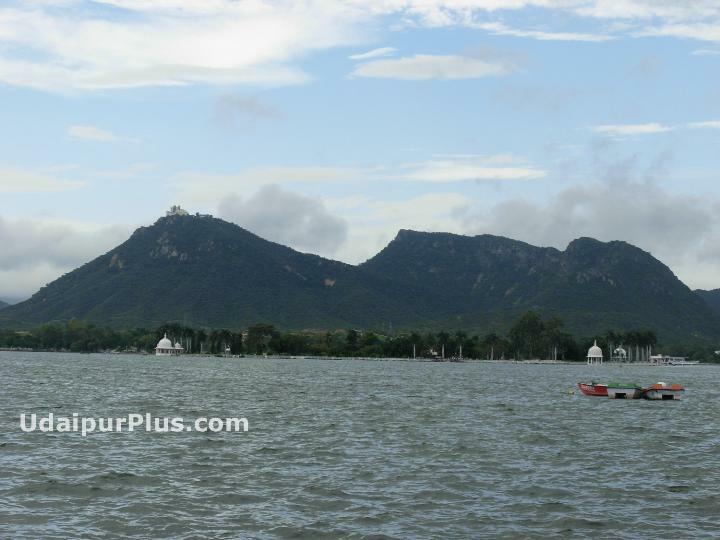 Description: Fateh Sagar Lake said to be the pride of the City of Lakes of Udaipur, it is an artificial lake constructed by Maharana in north of Lake Pichola in 1678 and to the north-west of Udaipur. A beautiful lake, overlooked by a number of hills on the three sides and the Pratap Memorial on the north was built by Maharana Fateh Singh. In the middle of the lake is Nehru Park - a lovely garden island with a boat shaped cafe accessible by an enjoyable boat ride. Blue waters of the lake and the backdrop of green has given the sobriquet of ‘the second Kashmir’ to Udaipur town.